Just because the holiday season is over that doesn’t mean that you can’t enjoy the rest of the winter season. Just steps from our apartments near City Hall in Philadelphia, you can still experience Dilworth Park’s Wintergarden through February 25th. Take advantage of the chilly weather at this popular Philadelphia attraction. Wintergarden is comprised of Rothman Institute Ice Rink, the Rothman Institute Cabin and America’s Garden Capital Maze – all providing exciting opportunities to get rid of your cabin fever and enjoy the last bits of winter. One of the most visited parts of Dilworth Park’s Wintergarden is the Rothman Institute Ice Rink. 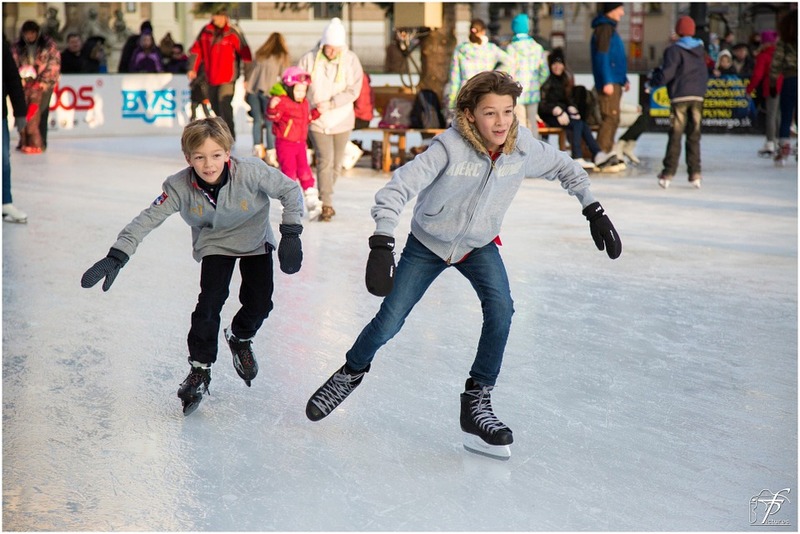 With skate rentals available for all ages, this winter activity is a family-friendly way to get out of apartments near City Hall in Philadelphia and into fun! There is a small admission to the rink for adults and children, but if you have your own pair of skates, that’s all you’ll pay! Last season more than 60,000 visited this Center City attraction throughout its duration and this year looks to be no different. The rink is open every day until February 25th when it closes for the season. Hit the ice before it’s too late! The Rothman Institute Cabin, located next to the ice rink, provides a warm respite for those who’ve skated, are getting ready to skate, or would rather just stay inside and mingle. The Cabin offers snacks, drinks, and happy hour specials each day while the rink is open. On Saturdays and Sundays, winter adventurers can enjoy Brrrrrunch Cocktails like Bloody Marys or Blood Orange Effen Mimosas. You can grab a beer, spiked hot chocolate, or any variety of other specialty drinks. The final piece of Wintergarden to enjoy is America’s Garden Capital Maze. This attraction is a must-see feature of the Dilworth Park event that is a celebration of the more than 30 public gardens, arboreta and historic landscapes located in the greater Philadelphia region. There are a variety of flowers and plants for you to enjoy and if you fee inspired, you can even take a few of the remaining workshops of the season. On February 10th and February 13th enjoy learning about Valentine’s flowers you can wear or on February 24th, treat the family to a garden snow globe workshop. No matter if you only get to experience a portion, or all, of Dilworth Park’s Wintergarden convenient to apartments near City Hall in Philadelphia, you’ll be sure to make memories that will last a lifetime. And, if you miss it this year, there’s always next season!